My latest blog for How We Made it In Africa on Africa’s banking sector. 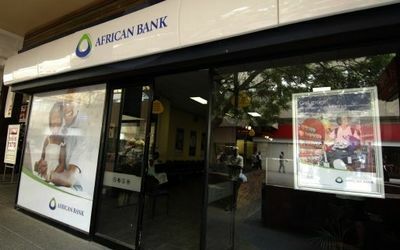 “The boom in the African banking sector has helped to establish the continent as an increasingly stable, competitive and attractive global market. Despite the 2008 global financial crash, and the political upheaval across parts of the continent, the sector has proven impressively resilient. Over the last five years, the assets of Africa’s top 200 banks have grown by 34%, with deposits also up 34% and loan books increasing 40%. This sustained growth now has sub-Saharan Africa’s banking sector closing in on other emerging regions, with return on assets outstripping places like Eastern Europe. “The success of the sector is now increasingly spread across the continent, too. The Kenyan banking sector has been growing at 8.5% a year since the turn of the century. In Angola, around 200 bank branches have opened every year since 2009, and not just in the capital, Luanda, but also across the country’s provinces. In fact, right across sub-Saharan Africa, from Ghana to Tanzania and Mozambique, the sector has grown steadily. And anyone working on the continent will be well aware of the raft of international banks now here and still entering, hoping to be part of this enormous opportunity. “But as Africa’s banking sector continues to become institutionally strong and structured, we must make sure we do not become inflexible to support our hugely dynamic and changing consumer. The banking sector must reach out and support young entrepreneurs and our fast increasing middle class, including many of our small and medium sized enterprises (SMEs). “Last year’s landmark Accelerating Entrepreneurship in Africa study from the Omidyar Network is a catalogue of the barriers facing entrepreneurs on the continent today. Unsurprisingly, access to capital was among the top list of most-cited problems, with Afro-entrepreneurs bemoaning the lack of forthcoming financers, and the report pointing to the deeply concerning estimate from the International Finance Corporation that around 84% of SMEs in Africa are either unserved or underserved by credit, leaving a staggering value gap in credit financing of some US$140bn-$170bn. “Sadly, though, this is not a surprise, as we know nine in 10 new ventures in Africa fail in the first five years, and banks are not in the business of giving away money. Neither has the sector to date been under any meaningful pressure or otherwise incentivised to help bridge this financing gap. But to refuse our entrepreneurs and small businesses credit lines is to cut off one of our greatest potential assets before it has even begun. “For Africa, support for entrepreneurs to get started and for SMEs to expand is especially critical, given the enormous jobs challenge the continent is facing in the coming years. They offer a potential lifeline for the 10m-12m more young people now coming onto the labour market every year. It is no longer an option for banks to turn a blind eye, or equally, to give finance at cripplingly high interest rates (many of which are 20% plus) or under harsh repayment conditions. Entrepreneurs in Africa today, trying to start or grow their businesses, are too often cut out of the formal financial systems and structures that can effectively support them. “Unless we better support these dynamic wealth creators, the SME and startup market will never be able to achieve what Africa needs it to. While SME and entrepreneurial activities are increasing in Africa, as the National Bureau of Economic Research has suggested, it’s currently not often outside of the formal system, and “contrary to the romantic view, there is no evidence that these African young unregistered firms are dynamic engines of employment creation”. “There are positive policy changes occurring, including those brought about by the International Finance Corporation (IFC), which has focused on providing long-term credit to banks to increase confidence to lend to SMEs. According to the Africa Report of the $530m lent to financial institutions in East Africa by the IFC, $450m are loans for SME financing. Similarly, the African Guarantee Fund (AGF), launched a couple of years ago, is headlined as “a market-friendly guarantee scheme [aimed] at easing access to finance for African small SMEs”, and it is beginning to have an effect, particularly in providing incentives for African countries to increase debt and equity investments in SMEs and to help financial institutions manage SME portfolios. Dr Álvaro Sobrinho is one of Angola’s leading business figures and chairman of emerging bank Banco Valor. Born and raised in Angola, Sobrinho has been at the forefront of the rise of one of Africa’s most powerful economies and is now a major cross-sector investor in Africa’s frontier markets.